:The Young Trib Force finds themselves in some of the most dangerous and frightening situations yet. As they search for a missing member of their team, they come face-to-face with a top Global Community official. World War III is erupting, and chaos is everywhere. Will they survive and continue to spread the gospel? This softcover repackage of the teen hardcover book parallels the story told in the bestseller Nicolae. With over 10,000,000 total copies in print, this series is set to capture the hearts of an entirely new generation of kids. 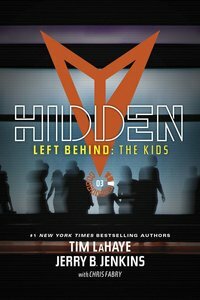 About "Hidden (#03 in Left Behind: The Young Trib Force Series)"